Traditional reeds (blue box) are the most widely played reeds in the professional world, with a superiority proven over many years, these reeds suit all styles of music. 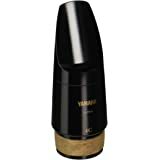 Features: excellent response in all registers, even allowing a pianissimo attack of the highest notes. Flexibility allowing the legato or staccato execution of large intervals. A richness of tone which gives body and brilliance to the sound. Thickness at the tip: .09mm (0.0035-Inch) Thickness at the heel: 2.8mm. My son is using these Reeds for a long time since he was in elementary school. He started with clarinet and now upgraded to Bass clarinet and these works long time as compared to other brands. If someone wants to try new Reeds, this is a really good option for them. I will highly recommend this product to others. These are my son's favorite reeds! Since he has started playing musical instruments. These reeds last a good long while, were as other fall apart and fail. These will last most of the school year, my son is hard on them. They are also very affordable, I can buy five of these reeds for the cost of one at a local music supply store. 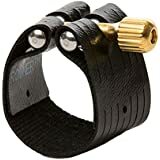 And while I love supporting local shops when it comes to band for my son, I try and get the best and these are his favorite and best lasting one. Lets face facts people teen boys are not always careful with their stuff, my son sometimes didn't take the best care of these reeds and they still held up well and be a 3 was another plus as they are impossible to find in local stores. If you have a child in band in school I really suggest these reeds they hold up to children/teen use and abuse and you get every penny worth of use out of them. They sound great too. My son's band teacher loves these and suggests them to all his students. Your money is wisely spent with this product. Ordered Bass Clarinet Reeds, but received Tenor Sax Reeds that had been miss marked. I understand that the two are similar but this order was for a new student. Hopefully the replacements will actually be Bass Clarinet Reeds. Take 2 ended with one pkg of Bass Clarinet and one pkg of Tenor Sax Reeds. After hearing another sax player from Northern Idaho play on bass clarinet reeds, I decided to give it a shot. I've been playing on these for almost 9 months now. These reeds get a beautiful, bright sound on my tenor saxophone, and I love them for jazz band. In my personal experience, these reeds are much more consistent from reed to reed in a single box, and much more fun to play on, than any jazz or classical cut of tenor saxophone reed I've played on. 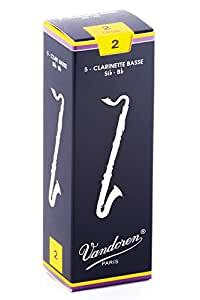 I try to stick to tenor saxophone reeds for classical playing, but I often find only two performance quality reeds out of the Vandoren blue box tenor sax reeds. I'm still trying to convince myself to try the size three bass clarinet reeds, to see if the harder reed will get a tone more appropriate for classical music, and still retain the consistency that I love about the 2.5's. 5.0 out of 5 starsReally really good reed! I have tried rico. I have tried the local music store reeds. Never again will I touch either. I love these reeds. They're wonderful. They are more expensive then other reed brands, and honestly here you pay for what you get. The sound quality is better and while you are playing it's just generally nicer. I have been using these reeds since 5th grade when I had no idea what I was doing with a instrument taller then me. I recommend these to everyone, I even convinced my friend who was a die hard rico user to try these and she hasn't gone back.